The scorching summer heat is upon us and I bet, most of you have already plans to go on vacation somewhere cold or at least not as hot. The kids are already on school break, so the whole family will be complete. But, what to do while waiting for that vacation schedule? Surely, your kids will get bored especially teens and would want to do something else than sulk in their rooms! What are your interests? What can you and the kids do at the same time to learn and bond as well? So, here’s a few tips that may save you and your kids from boredom. Swimming Classes – There’s usually a lot of swimming classes within your city and if you’re lucky, within your village. You and the kids can learn how to swim (the proper way). 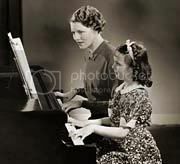 Music Lessons – If you and your child shares the same passion in music especially playing the piano, you can both enroll in the nearest music centre. While you’re there and if it’s available, why not try the new yamaha p155 digital piano. I’m sure your kid will love playing it. Arts and Crafts – Children these days are so full of ideas and can easily make a simple drawing stand-out. So, hone this talent and introduce him to other crafts. If you are also into this, you may join the adults’ class in another room and show off your work to motivate your child more. There are more summer activities and the above are just a few ideas. Best to check your local community on what they have in-store for children this summer. Lastly, enjoy and bond well with them while they are young. Savor the moments. Gadget Giveaways Round-Up! Join Now!